Sarah is a married mother of eight children living in a village near Kamuli, Uganda. She regularly attended training classes held by the non-profit organisation Volunteer Efforts for Development Concerns (VEDCO) before applying to receive Large White breed pigs. She met the requirements of already having a house with a separate kitchen. She also had prior experience rearing pigs, as she had previously kept indigenous breed pigs. While VEDCO provided the cement and labour to build an improved pig structure, Sarah and her family were asked to supply the local materials with which to build the roof and fencing around the structure. Keeping and selling pigs has allowed her to pay her children’s school fees. In addition, she has recently bought metal roofing materials, and she intends to improve her current mud-and-thatch home in the near future, using the money from the sale of her pigs. This story was recorded by Katie Holmes, a veterinary student from the University of Wisconsin-Madison, USA. From July to August 2012, Katie supported the Safe Food, Fair Food project work in Uganda and visited some pig farmers in rural Kamuli district, where the Smallholder Pig Value Chain Development project and Safe Food, Fair Food are conducting an assessment of the pig value chain including constraints and opportunities for development. The assessment will be supported by local collaborators such as the District Veterinary Officers or development partners like VEDCO. 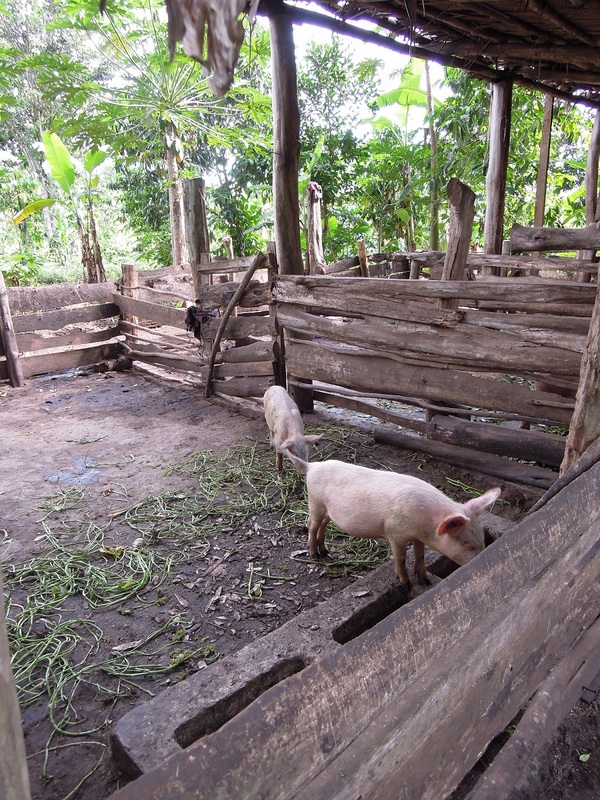 Photo: A pig sty constructed with the technical and in kind support by VEDCO in Kamuli district (photo credit: Kristina Roesel, ILRI/FUB). 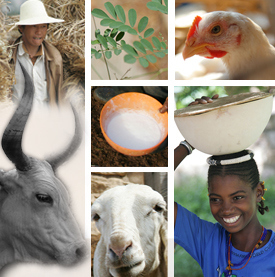 Tags: data collection, epidemiology, food safety, training, zoonotic diseases. Bookmark the permalink.